Discussion in 'Android Devices' started by djkms, Aug 8, 2010. 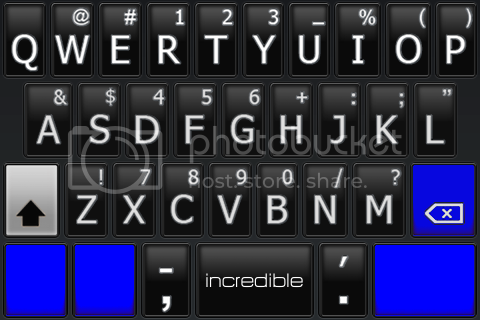 Here is my first theme for you guys Blueraider. This theme is for the Skyraider ROM 2.2 Sense. I have taken every aspect that was green with the default theme and made it blue. I have gone through every single apk in the Skyraider 2.2 ROM and themed accordingly. 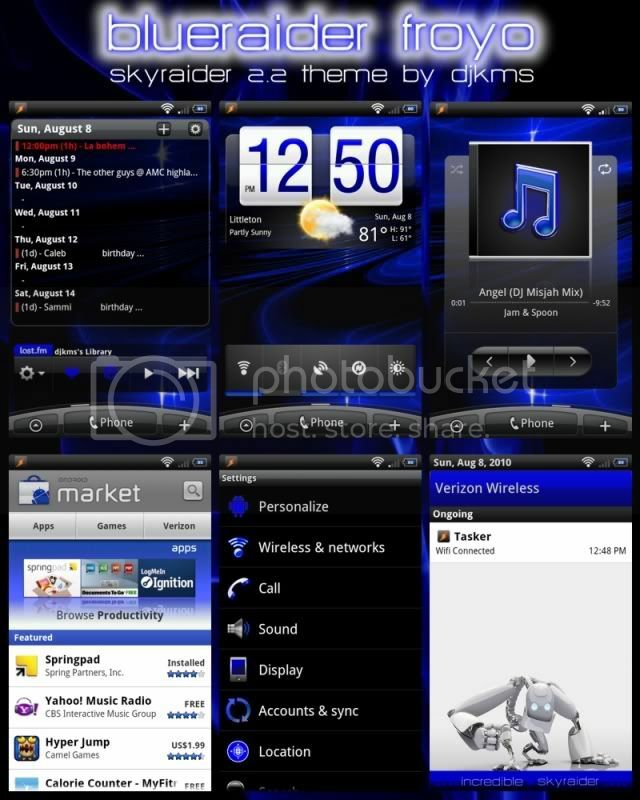 You must be running Skyraider v2.2 Sense - This theme is untested on other roms and could potentially crash your phone. In the ROM Pre-Installation window put a checkmark next to "Backup Existing ROM" ONLY!! DO NOT put a checkmark next to Wipe Data and Cache!! Hopefully within the next week I will be working on a pink theme for the ladies, stay tuned! Latest download link at xda-developers. Theme Only - Not the full ROM! If you have installed this with success on other ROMS please let me know. Comments, suggestions and donations appreciated! Version 2 is now up for download over at XDA. I will not update this thread anymore due to lack of activity here. If you have any questions or need help with this theme you can still leave a reply here if you dont have a account at XDA.